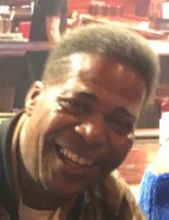 Mr. Benjamin P. Brown, 61 of Louisville AL passed away on Saturday, February 9, 2019. Public viewing will be held on Friday, February 22, 2019 from 12 noon until 4 p.m. at F.L. Sims Funeral Home, 2201 S Cobb Dr SE Smyrna, GA 30080. Celebration of Life service will be held on Saturday, February 23, 2019, 11:00 a.m. at Bethesda Baptist Church 2895 Joe Jerkins Blvd Austell,GA 30106. Interment Causey Chapel Baptist Church Cemetery 3327 Humphries Hill Rd, Austell GA 30106. Professional services entrusted to F.L. Sims Funeral Home, Smyrna. To send flowers or a remembrance gift to the family of Benjamin Preston Brown, please visit our Tribute Store. "Email Address" would like to share the life celebration of Benjamin Preston Brown. Click on the "link" to go to share a favorite memory or leave a condolence message for the family.